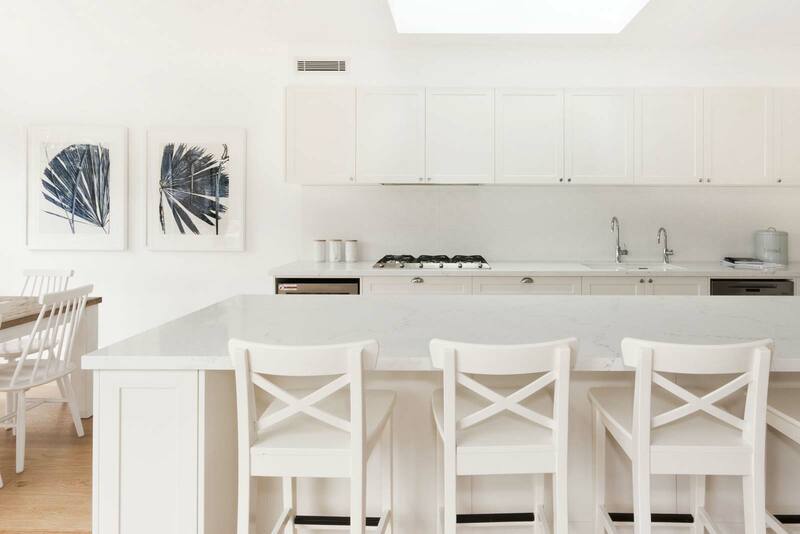 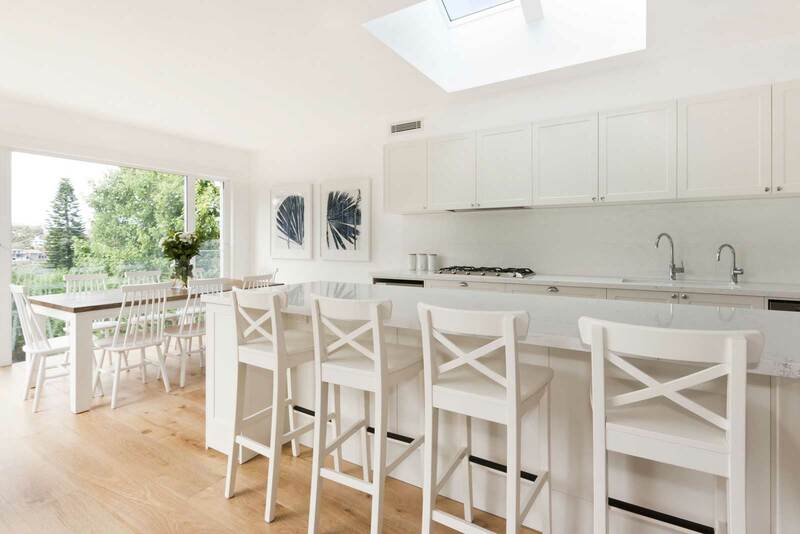 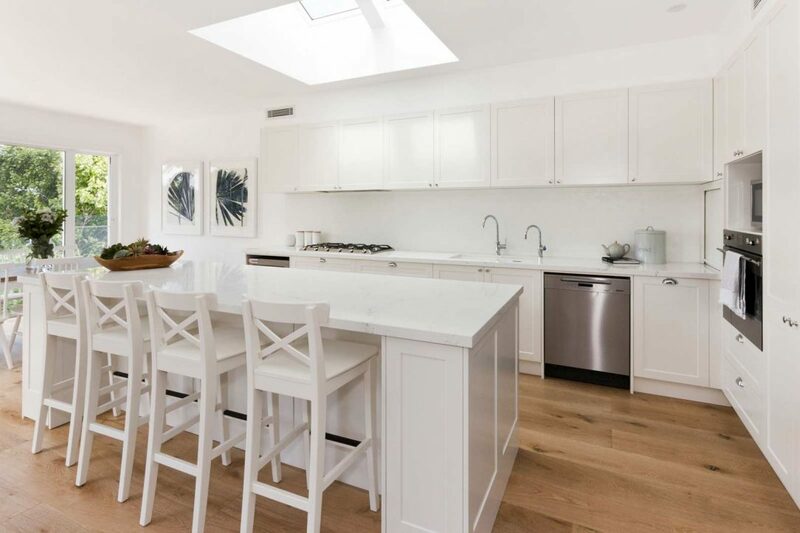 This bright and roomy Hamptons style kitchen features a large island bench that allows plenty of food prep area and is able to seat 4 people comfortably. 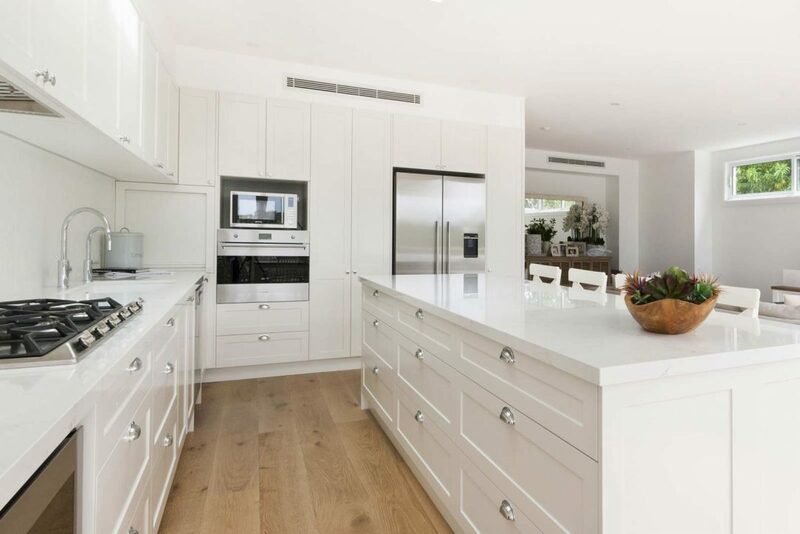 Other special design features include a hidden appliance area for small appliances, a wine fridge, large pantry with internal drawers, large concealed bin drawer, a wall oven & plenty of large drawers for easy access. 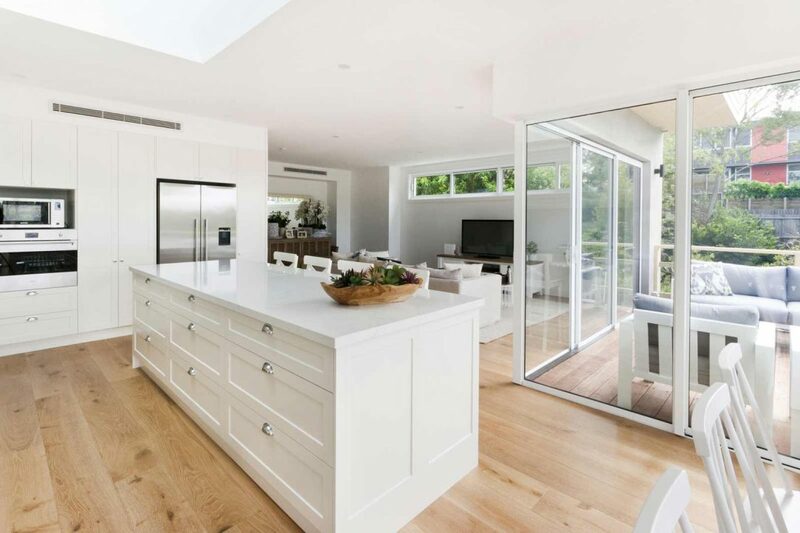 The kitchen is open plan and faces the lounge, dining and outdoor area providing an interactive experience for hosts and guests.